His decision to celebrate Maundy Thursday Mass at the Casal del Marmo prison for minors and young adults, on the outskirts of Rome, where he will wash the feet of 12 inmates, is typical: it is a seemingly radical break with custom – the liturgy usually takes place in the Pope’s cathedral of St John in Lateran — in order to rescue something essential that has been, over time, lost or displaced. 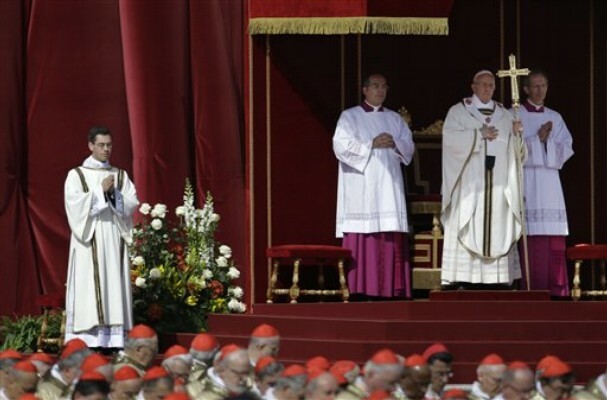 Cardinal Bergoglio used to celebrate the Maundy Thursday Mass in Buenos Aires with Aids sufferers or the homeless or drug addicts; Pope Francis sees no reason, now, to do otherwise – and plenty of reasons in favour. 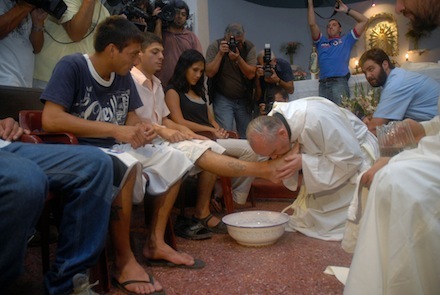 A pope washing the feet of prisoners – modern society’s lepers, shunned and feared – expresses powerfully Jesus’ injunction to his followers to imitate him in humble service of others. The contrast with Benedict XVI’s practice could not be greater. For the first two years of his pontificate, Benedict XVI washed the feet of 12 lay people from the diocese of Rome, but after 2008 chose a dozen priests for the ceremony. But if Pope Francis is breaking with custom, you can argue he is equally recovering a tradition. John Paul II chose to wash the feet of a group of homeless men in 1980; Pope Paul VI, on four Christmases in the late 1960s, celebrated Christmas Masses in Roman parishes, not in St. Peter’s. Equally, the marked departures from Benedict XVI’s style conceal an essential continuity in teaching. 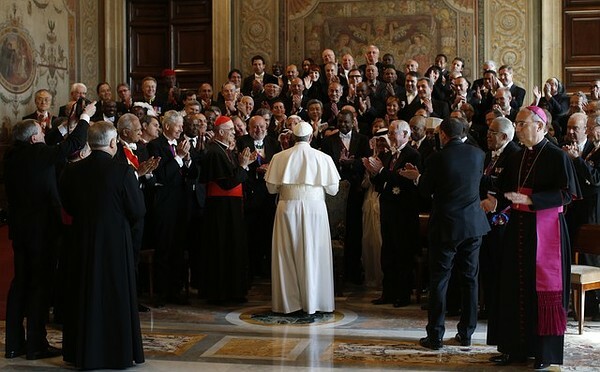 Pope Francis’s Inauguration Mass homily was a very direct, pastoral take on Benedict XVI’s teaching about “human ecology” – the need to respect the God-givenness of creation (trees and birds, but also human beings) and the needs and grammar of nature. But there is another form of poverty! It is the spiritual poverty of our time, which afflicts the so-called richer countries particularly seriously. It is what my much-loved predecessor, Benedict XVI, called the “tyranny of relativism”, which makes everyone his own criterion and endangers the coexistence of peoples. And that brings me to a second reason for my name. Francis of Assisi tells us we should work to build peace. But there is no true peace without truth! There cannot be true peace if everyone is his own criterion, if everyone can always claim exclusively his own rights, without at the same time caring for the good of others, of everyone, on the basis of the nature that unites every human being on this earth. The continuity is not just in teaching, but in their shared humility. 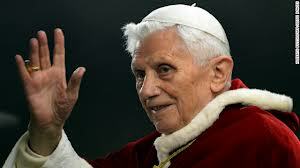 Benedict XVI’s decision to resign was, essentially, a Maundy Thursday act, reminding the Church that the object of high ecclesiastical office is service of the Church and humanity. That same radical humility is very obvious in Pope Francis’ exercise of the Petrine ministry. The papacy of Francis was made possible by that of Benedict. 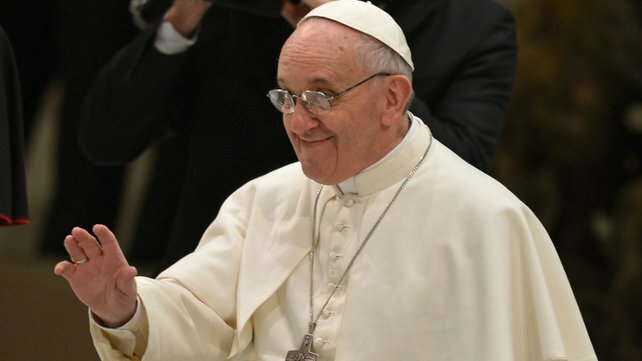 Francis is the answer to the question of why Benedict resigned. Tomorrow, Pope Francis will visit the man he refers to as his venerable, much-loved predecessor, the one whom he asked the people in St Peter’s Square on the night of his election to pray for. It will be an important reminder that, different as these two men are, they are both, essentially, radical, evangelical Catholics, hard to separate on matters of teaching and doctrine, and very much alike in their view of the Petrine ministry.